Sardinia is part of Italy - and it is not. Such a proud and ancient culture that have inhabited this island for millennia, it stands apart as a unique Mediterranean location that is distinctive and unusual. From the Bronze Age Nuraghic structures - circular fortress-like buildings - to ancient Phoenician settlements, these are special places that you will see. We explore numerous cultural aspects, from the murals in the town of Orgosolo, to hearing 'canto a tenore' singing - unique to the central hills of Sardinia. Check out our Tripadvisor tour reviews. Sardinian breads – such as moddizzosu and pistoccu. 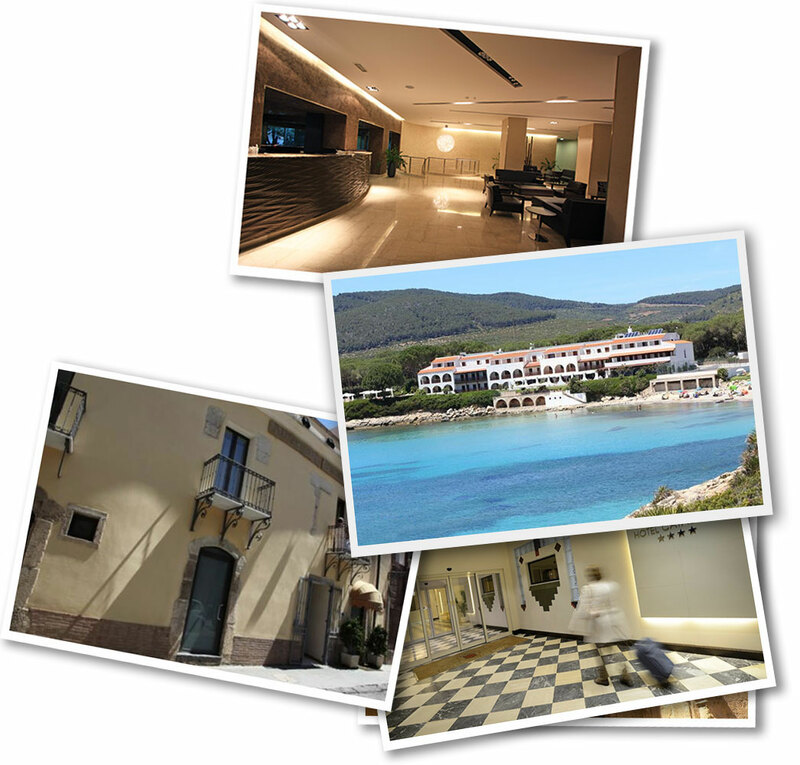 The hotels we use for this tour are good quality hotels and all are centrally located in Cagliari, Oristano and Alghero. This makes it easy for you to spend time independently discovering these wonderful places. All of the hotels we use are 4 star rated. 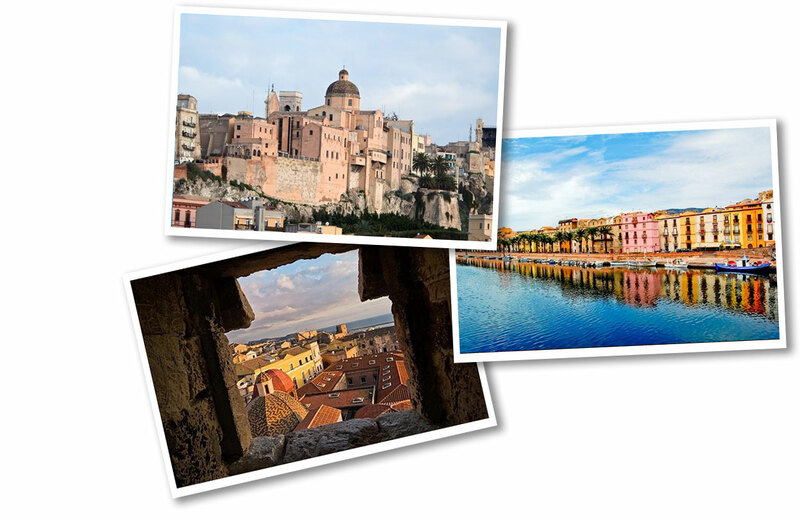 In Cagliari we stay in the historic area of Villanova in the Hotel Regina Margherita. The hotel is a modern, well presented establishment with a good restaurant and cocktail bar. In Oristano we stay in a boutique hotel, the Hotel Duomo. This has many interesting features and you’ll love the lounge areas where you can relax and chat in the evenings. In Alghero we stay in the Hotel Catalunya, right alongside the old walled town centre. You’ll love looking out over the bay from their rooftop bar. Welcome to Sardinia, over this week you’ll start to uncover what makes this island special – fiercely independent, wonderful natural environments, unique historical sites, and a cuisine that is specifically ‘sarda’. We start the tour at 3 pm in our centrally located hotel, right in the historic area of Cagliari. We meet with a local guide who provides some insight into the way people live here. We’ll walk through all the key points of central Cagliari, learning the reasons for the curious layout of this city. 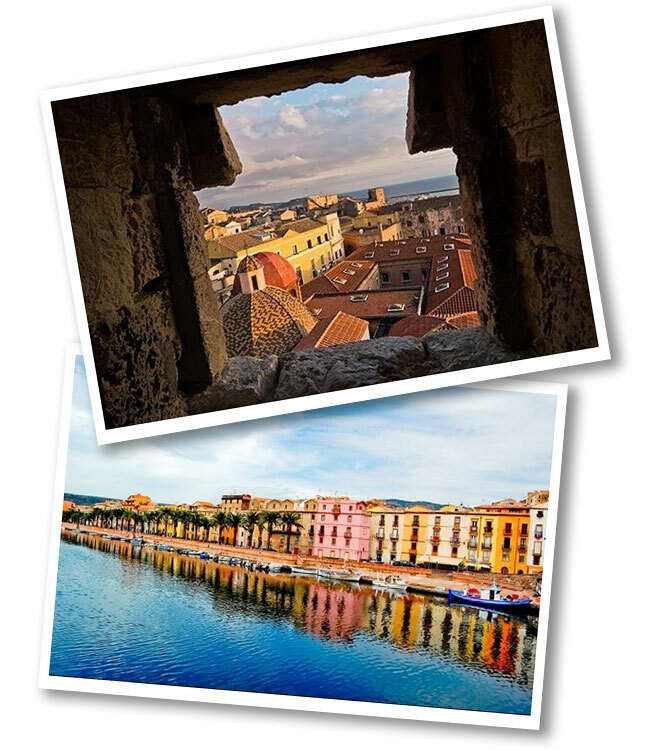 We focus on the Castello area, the oldest part of the city, located within the 14th century fortified walls and hemmed in by cliffs on either side. The history of invaders here, through the millennia, makes it understandable that people would live in this tightly packed district up on the hill. We take a break back in the hotel, then meet and walk together to the Marina area. Here we share our first meal. The Sardinian cuisine is distinctly different from the Italian food that most of us know, the result of diverse influences. The land where they raise their sheep and their fantastic pecorino cheese. The sea that has brought invaders and settlers to these shores, and the culinary traditions that have been absorbed and made their own. The breads such as carasau – wheat has been grown here since ancient Roman times, a local greeting is “saludi e trigu” (“good health and wheat”). Pasta that you don’t find in the rest of Italy, such as fregula (similar to couscous) and culurgionis (a type of ravioli). Through this week we will try all these foods and many more. We start tonight. In the morning we drive a short distance to the San Benedetto markets. 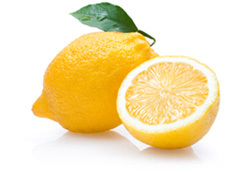 This is the key point for the trade of all types of fresh food for the city – some of which you’ll be tempted by, some that is a bit more challenging. All the in-season fruit and vegetables, butchers offering up every piece of the animals, it is real nose to tail eating here. In these markets you see how the locals shop, what they buy, what is fresh, and what is caught in this part of the Mediterranean sea. We then leave the city and travel along the southern coastline to a place called Nora. This has a long history, from starting as a Phoenician settlement in the 8th century BC, then becoming an ancient Roman town and port. 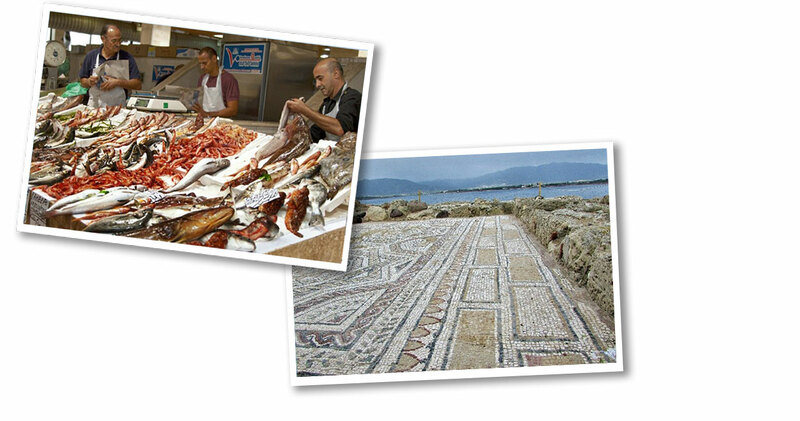 It is the Roman town we see today - the remains of what were elegant villas by the sea, complete with detailed mosaic floors, the theatre, ancient Roman roads. Today we go further back in time, yesterday’s ancient Roman town being just an introduction. Our focus today is on the Nauraghic civilisation, a Bronze Age population that lived on Sardinia. They have left some impressive markers of their presence here. 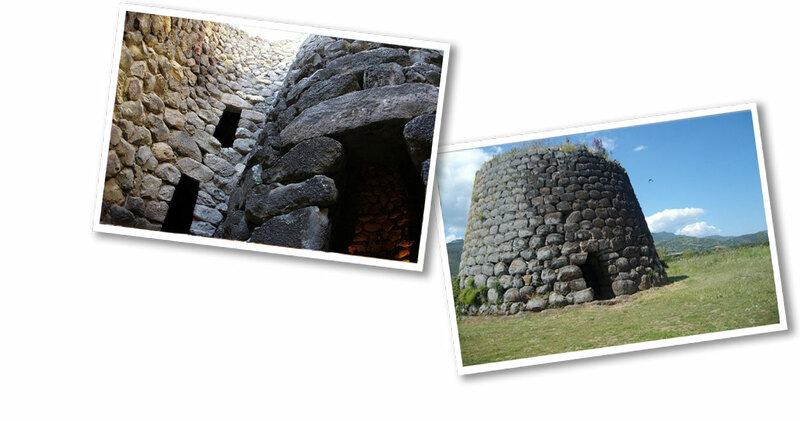 Firstly we see a nuraghi, a fortified structure with almost a beehive shape, built of basalt blocks. The nuraghi that we visit in Barumini is called Su Nuraxu and is the largest of these ancient fortresses. It is a UNESCO World Heritage site. The original settlement dates from 1500 BC, with constant habitation for over 2000 years. This is a physical timeline of Sardinia. After lunch in a charming agriturismo nearby we continue on to another Bronze Age site. This is known as the ‘tomb of the giants’, or locally as ‘Sa Domu and S’Orcu’. This is like nothing else that you see in Italy - the size of the stone blocks, the fascinating shape, and also just the simplicity and scale of the structure situated up on a hilltop as a monument to a forgotten time. The tomb, as well as its burial function, may have been dedicated to the god Taurus. We continue on to our hotel in the town of Oristano, arriving in the early evening. 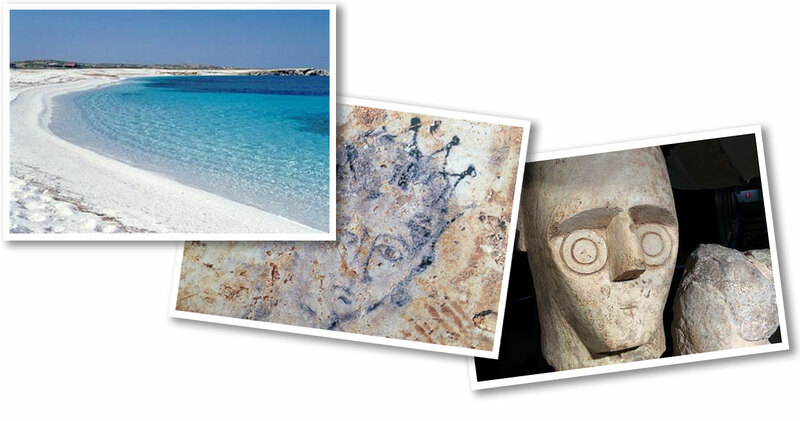 From our base in Oristano we have a wealth of things to see and do in close proximity on the Sinis Peninsula. Firstly we visit a special place called San Salvatore. The village itself is unlike any other twin in Sardinia, with its narrow lanes lined with rows of tiny houses - in fact it has been used many times as a film set for these reasons. But we are here specifically to visit the church, where we go down into the crypt where there is a sacred well – frequented since prehistoric times. The wall drawings are particularly interesting, spanning numerous eras – many were done in ancient Roman times, but we also see Punic references, Arabic script and Greek script. These drawings provide an insight into the various populations that have settled here. Moving on to the archaeological museum in the town of Cabras, we see the statues known as the ‘giants of Mont’e Prama’. These recently found monolithic artefacts, carved in the Iron Age (900 BC), are unlike anything that you normally associate with Italian history. They were found in this area. Also in this museum we see many of the Punic and Roman items found in the nearby archaeological area of Tharros. After a wholesome lunch - most of which is grown by the family who serve us - we travel to a wonderful beach nearby, the beach of Isola Arutas, with its white quartz sand. Sardinia is famed for its turquoise clear waters and great beaches, and we give you some time to relax on the beach, have a swim or just take it easy in the cafe nearby. For any who prefer not to spend time on the beach, our driver will take you back to Oristano where you can spend time looking around the interesting town centre. As a contrast to yesterday’s coastal jaunt, today we head inland, into the mountainous interior. First we visit the town of Orgosolo. This is the key mural town of Sardinia, with numerous building painted with local scenes, slogans, and an incredible variety of weird and wonderful things. We look around the town centre with a local guide. 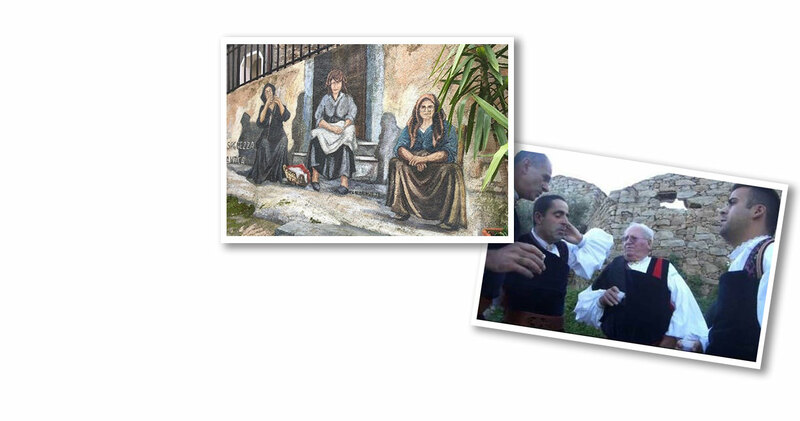 Learning about Orgosolo and the history of these murals reveals much about the more recent history of Sardinia, and the challenges and aspirations of the people who live here. For lunch we visit one of the large forest parks that cover much of this central area, the Supramonte. We dine on the traditional foods cooked on an open grill, enjoyed outdoors in a casual setting. After lunch we have a very special performance of ‘canto tenore‘ - most visitors to Sardinia do not get to experience this local polyphonic singing method. Canto tenore consists of three men singing together with different tones, creating a curious effect, while a fourth sings or chants a poem. This type of singing is specific to this Barbagia region of Sardinia and is recognised by UNESCO with its inclusion in the Representative List of the Intangible Cultural Heritage of Humanity. Leaving Oristano we travel a short distance to the village of Santa Cristina. Here we find a sacred well, over 3000 years old and incredible for the precision of its construction. Next we reach to charming town of Bosa, situated on a River mouth with rows of past coloured buildings lining the waterfront, small fishing boats moored in the inlet. We leave you some free time in Bosa to wander through the lanes, or to simply relax and enjoy the pleasant ambience. During the afternoon we reach our final destination, Alghero. After a beak at our hotel we meet up with a local guide who shows us around this fascinating city. 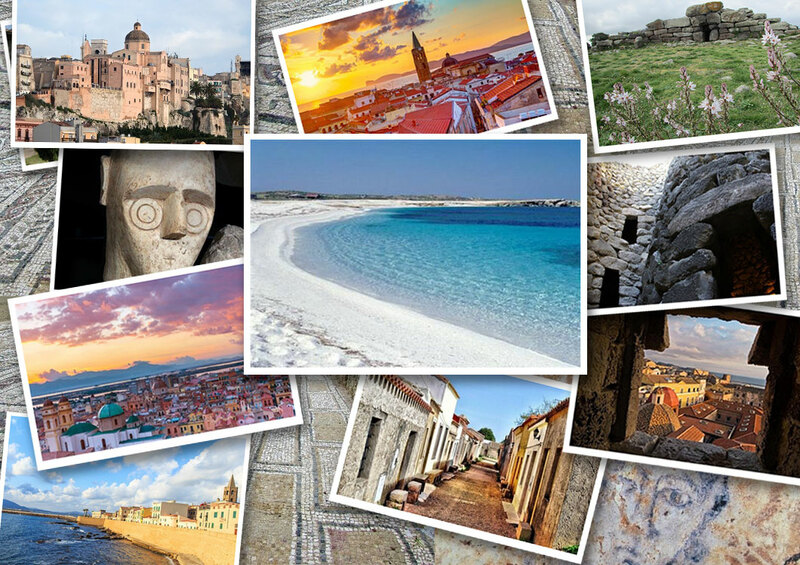 Alghero has a culture that is distinctly different from the rest of Sardina. The key influences here are Spanish, following the conquering of the city by the Aragonese in the 14th century. The local dialect is closely related to Catalan. The old town has a superb seaside location, and much to discover. In the evening we cap off the week with ‘the last supper’, our final Sardinian meal together. Today is our departure day from Sardinia. We depart at 10 am for drop off at Alghero’s airport and bid you “buon viaggio”. The tour finishes in Catania at 11 a.m.
'Italy With Pleasure' provides a Tour Manager for the duration of the trip, who will coordinate all activities and accommodation. We also use specialist local guides to provide specific insight into key features. All costs/entry fees for activities listed in the itinerary are included.